October 15-December 16, 2016. 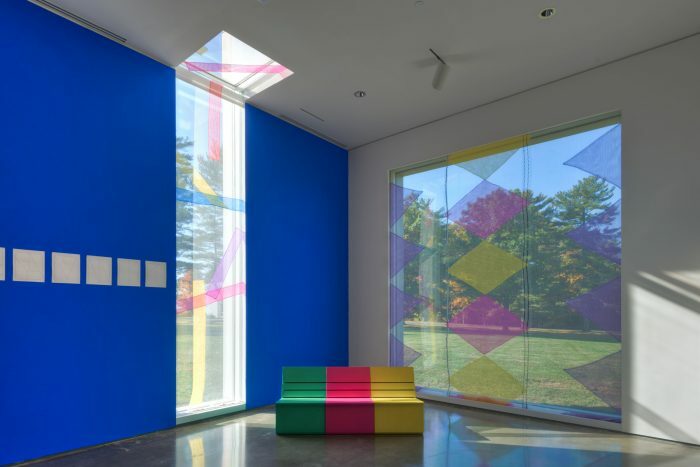 Hessel Museum of Art, Bard College, Annandale-on-Hudson, NY. 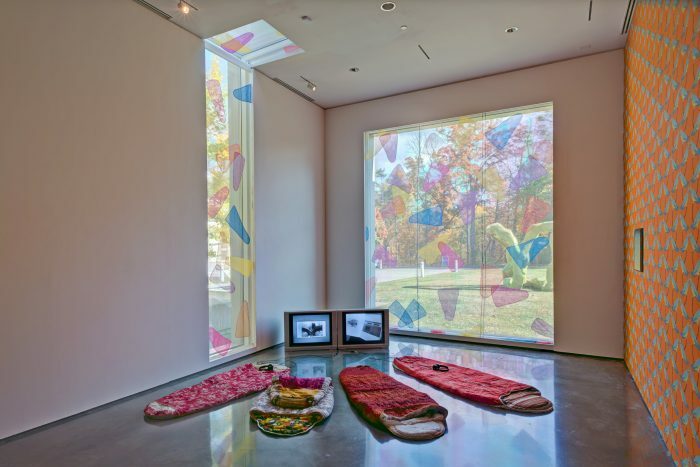 The Hessel Museum and the Center for Curatorial Studies, Bard College, 2016-18. Conceptual Outline: We are the Center… for Curatorial Studies is a two-year research project, a series of artist residencies, and three distinct exhibition phases culminating in a major exhibition in 2018 based upon the research. Each individual exhibition phase will partly contribute towards the evolution of a final exhibition-form to be accompanied by a publication documenting the research process. The project will both reflect upon and propose new ideas and directions for a center for curatorial studies led by artist projects and taking the medium of the exhibition-form as pivotal to its futures. We are the Center… will gather its eventual form over two years whilst reflecting upon ‘curatorial studies’ during this time of its emergence. Over two years, artworks and related materials will be arranged by a number of organizational principles in collaboration with a number of artist and critical thinkers: art works, research projects, and related material will be organized into five discrete departments situated within and across the Hessel Museum and CCS galleries during three distinct phases. We are the Center… for Curatorial Studies is a two-year research project culminating in an exhibition. The project explores the entangled relationship between curating, the ‘curatorial’ and the practices of ‘research’. It comes at a key moment of consolidation in the discursive field around curating, whereby many protagonists are attempting to inscribe certain limitations upon, and definitions of, what curating should be, or seek to be, and to determine which bodies of knowledge shall have enduring consequence for its practice and associated discourses and histories. Given the context of the exhibition being within one of the more established graduate programs in the world (CCS Bard), it is appropriate to challenge these paradigms within one of its centers and by looking to the curatorial as a constellation of activities across teaching, learning, archival and artistic research, material practice, working within and without the collection and exhibiting as display, drawing upon the resources at CCS, which will contribute towards the final exhibition form in cooperation with a number of artists. We are the Center…proposes the curatorial as a constellation of activities exists in which the exhibition (whichever form it takes) can be made up of many component parts. This idea of a constellation (as an always-emergent praxis) brings together incommensurable social objects, ideas and subject relations in order to demonstrate the structural faults and falsities inherent in the notion of the hermetic exhibition as primary curatorial work. We are the Center… considers the curatorial as bringing divergent forms of practice together to self-consciously catalyse each other, whilst not shying away from the negative, the contradictory or the antithetical. We are the Center… argues for the curatorial – as an open concept – prioritises the many ways and means of working with others, within a temporary space of cooperation, which allows ideas to emerge in the process of doing, speaking and being together. In this sense, the discursive aspect of curatorial work is given parity with – rather than being perceived as contingent upon – the main event of staging gallery-based art exhibitions. As a constellation, discursively led curatorial praxis does not exclude the exhibition as one of its many productive forms. This tendency has been particularly apparent in recent attempts to construct concepts of the ‘curatorial’, conceived as forms of practice operating away from, alongside or supplementary to the main work of curating-as-exhibition-making. It is illustrative of the contested nature of the territory around concepts of the ‘curatorial’ that, for many authors, these concepts cannot be reduced to a set of positions that exist in opposition to notions of curating as exhibition-production. Rather, the ‘curatorial’ is most often expressed with reference to modes of becoming – research-based, dialogical practices in which the processual and serendipitous overlap with speculative actions and open-ended forms of production. [i] Certainly, varied definitions of the curatorial can be read as resisting the narrative-orientated authorial model of curating, which might be defined as commissioning or working with extant artworks for a public manifestation within an exhibitionary frame or organising principle defined by a curator. These six departments will each intersect with one another and collectively make up to the content and structure of We are the Center for Curatorial Studies. Each department will gather together related material and works by artists dedicated to a research-oriented practice challenging the ways in which an exhibition gathers its form through a deep consideration of the juxtaposition of subjects, things, images, information, structures, and/ or display spaces. Each artist exhibiting in the project will play a part in the development of the center for curatorial studies and also contribute to the teaching and learning at CCS, working with its faculty and students of the Graduate Program. Each department will eventually contain both artworks and non-artworks and will engage the different components, contents and holdings already within the center including the museum and its collection; the archive and its documents; the library and its books; the classroom and its educational formats; the graduate program, and its faculty and students. Each department contains works by artists noted for their curatorial approach to artistic production prioritizing the arrangement of things, the organization of images, conceptual frameworks, contexts or archival research in its many forms at the core of the core of their practice. Phase One of We are the Center… involves working closely with a number of artists who will take part throughout the two years. This phase is a series of artist’ commissions engaging with CCS and its resources – developed alongside semi-public exhibitions of extant works by those artists installed in the museum. During this Phase One artists will spend time at CCS teaching, lecturing and developing projects with the Graduate Program and its students. These commissions involve working with an artist to take on the role of co-directing the five Departments for the center and beginning with an existing work. 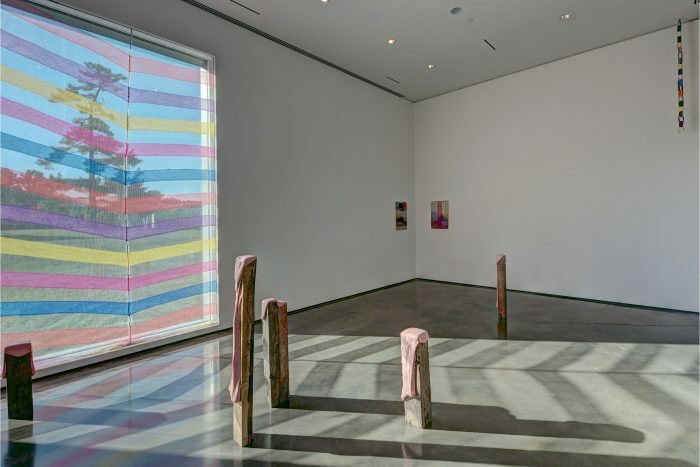 The first two of seven artist commissions to make up the first phase will be for Department of Information, is artist, writer, and filmmaker Chris Kraus will write a unique set of 18 short stories/ texts for each of the 18 galleries of the Hessel Museum. These texts shall act as prompts, persuasions, and parallel mediation framing for the other artworks that will be exhibited at the center for curatorial studies. Secondly, the artist Sarah Pierce will lead on this department delving into the CCS archives as well as displaying her own archival work thinking through ideas of greatness and its meanings. Together with Kraus and Pierce will be a number of artists working with archives or displaying curatorial material from the CCS Library/ archives incluing the Museum of American Art (Berlin). The third commission will co-lead on The Department of Display Structures (The Operational Core) as the artists exploring the overall exhibition design/ architecture beginning with a selection of works by Céline Condorelli. The fourth, fifth and sixth departments will involve a number of artist’s works for The Department of Things (The Object Core); The Department of Images (The Visual Core) possibly including artists Grace Weir, Ian Breakwell, James Hoff, Marjolijn Dijkman and Elizabeth Price, and The Department of Theater (The Living Core) – possibily Harold Offeh, Jasmina Cibic, Liliana Porter, Gordon Hall, and others. During the first stage this will involve the installation of existing works forming constellations of things or images. The final commissions of Phase One will involve the production of a series of artist waiting rooms or gestures attending to waiting. Artists under consideration are Ulrike Müller, Eduardo Padilha, Can Altay, Raqs Media Collective, and others. During both intermediary stages a) and b), a number of rooms will be installed in the museum on a more permanent basis. These rooms will remain expectant for the two year period – waiting in attendance for something to be displayed, or in a stage of being ‘in-progress’. During these two stages a number of artist-painters will be commissioned to design and produce ‘waiting rooms’ – interstitial spaces in-between the installed exhibition rooms, which will also function as temporary teaching spaces. These ‘waiting rooms’ are intended to operate as spaces for attending, resting, and awaiting the exhibition(s). Alongside these commissions will be a number of selected works installed throughout the galleries intermittently between Sept. – Dec. 2016. Together, these commissions will form the first phase of We are the Center…During these phases, the exhibition in the museum shall primarily include extant works by the commissioned artists alongside works being installed between September-December. Upon entering the museum the visitor can take one of two directions. To the left or to the right of the entrance are two doorways, with each direction leads to a different conceptual direction for the future present of the center for curatorial studies. The entrance to both directions will comprise a selection of works introducing the figure of the curator, including extant works by a number of artists possibly including works by Gareth Long, Amalia Pica, Priscilla Fernandez, Pavel Buchler, Can Altay, Martin Beck, Ronan McCrea, Carlos Motta, Liliana Porter, David Blamey, Matt Keegan, Liam Gillick, Erica Baum, Nina Canell, Vlatka Horvat, Falke Pisano, Ian Breakwell, General Idea, and others. A first phase opening of the ‘in process’ exhibition of primarily extant artworks and commissioned projects in progress installed throughout the galleries at the Hessel Museum. A second interim exhibition marking the halfway research stage showcasing projects-in-progress alongside related material. [i] See Irit Rogoff, ‘Smuggling – A Curatorial Model’ in Vanessa Joan Müller and Nicolaus Schafhausen (Eds. ), Under Construction: Perspectives on Institutional Practice (Cologne, Walther König, 2006), pp. 132–133; Maria Lind, ‘The Curatorial’, Artforum, October, 2009, pp. 103-105; Beatrice von Bismarck, ‘Curatorial Criticality: On the Role of Freelance Curators in the Field of Contemporary Art’ in Marianne Eigenheer (Ed. ), Curating Critique (Frankfurt, Revolver, 2007), pp. 62–69; and Emily Pethick, ‘The Dog that Barked at the Elephant in the Room’, The Exhibitionist, issue 4, pp. 81–82.